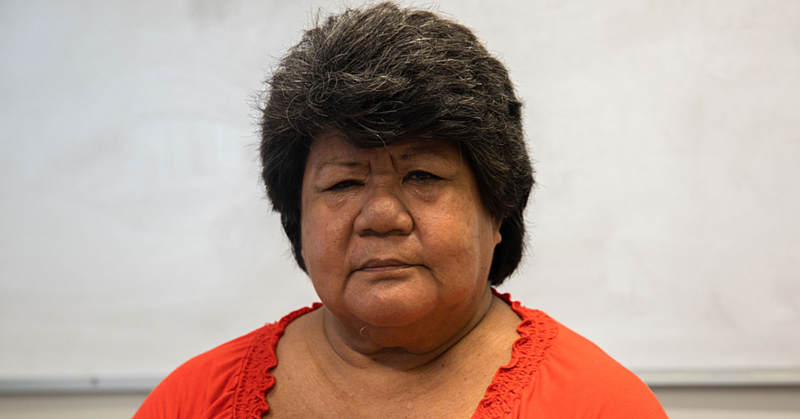 Newly elected Auckland Councilor Efeso Collins’ racial discrimination episode on Tuesday evening this week has been met with disgust by many in the Pacific community. Su’a William Sio, currently in Samoa tweeted: “This makes me sick to my stomach”. But it should lead to a positive Pasifika outcome for Auckland council inauguration ceremonies in the future, if Mayor Phil Goff, and Mr Collins take a leaf out of what Niue High Commissioner Tauveve O’love Jacobsen, and Prime Minister John Key have done with the Governor General of New Zealand’s swearing-in ceremony. But first, what happened on Tuesday? Mr Collins’ high ranking performance at the recent Local Government elections meant he was sworn in as an Auckland City Councilor, Tuesday this week. It should have been one of the most memorable nights of his life. But it wasn’t. In its stead he was “disgusted when he learned later of the episode,” reported Radio New Zealand. An usher, an employee of an Auckland Council agency, had been rude and tried to push away Mrs Collins, who was with their daughter and family elders, from their allocated seating at the Auckland Town Hall. Mr Collins, when he found out called it “essentially racially discriminatory, that brown people don’t belong there.” While Auckland Council’s general manager of democracy services, Marguerite Delbet, said she was appalled and mortified after looking into the incident, calling the staff member’s behaviour “completely unacceptable” and has apologised profusely. From the episode, Mr Collins is calling on Auckland Council to break down racial preconceptions. But his remark was aimed not just at the racial discrimination suffered by his family, it was also aimed at embedded protocols and pomp of the Council ceremonies themselves. This includes changing the Anglo-Saxon tone of the inauguration ceremonies, of which this week’s was the Auckland Council’s third. And that brings us to HE Tauveve Jacobsen and PM John Key’s example. 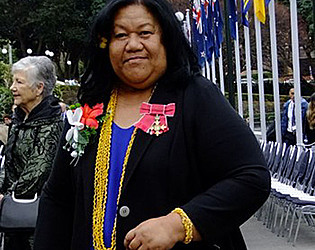 They managed to institute a change in national protocol to the swearing-in ceremony for the Governor General, a ‘State Ceremony’, to allow Realm of New Zealand country members, Niue, Cook Islands and Tokelau to be accorded front row seats with the Governor General; and to fly their flags with New Zealand’s on parliament grounds. That happened this year starting at the farewell ceremony for Sir Jerry Mateparae; and continued in the swearing-in Ceremony for Dame Patsy Reddy. The request was made at the beginning of 2016, and by the time of Sir Jerry’s farewell on 24 August 2016, the protocols were relaxed, the request formalised and implemented with Niue, Cook Islands and Tokelau seated at the front table in accordance with their status as three of the five members Realm of New Zealand. Mrs Jacobsen told Pacific Guardians why she made the request. “When you are very much part of the Realm and yet are not seen to be part of it, then people like me who are ‘representatives’ of their country, need to go out there and make representation to the degree that things change for the better. (we need to show) that we are worthy to be here. 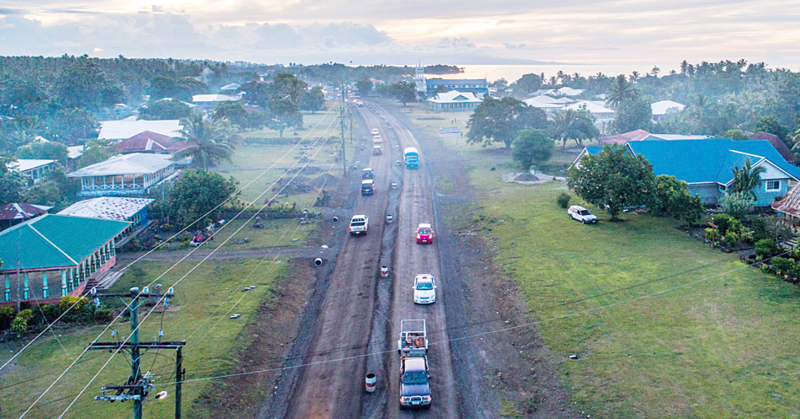 There’s no one like us that have two homes – one here and one over there [Niue] – where we are accepted and acknowledged by both. We have a good thing that has come from an arrangement from our peoples in the past. “So I am very pleased that the ears that listened to my request saw merit in it. The challenge is now firmly with Mr Collins and Mr Goff to take up the mantle to enact a similar process and get the right outcome. 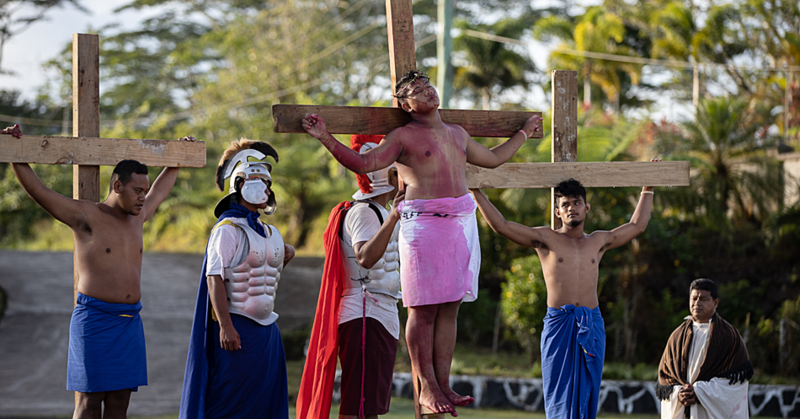 And surely, at a level down from State ceremonies, it should take less than the six-months it took for Niue’s request to be actioned and implemented?